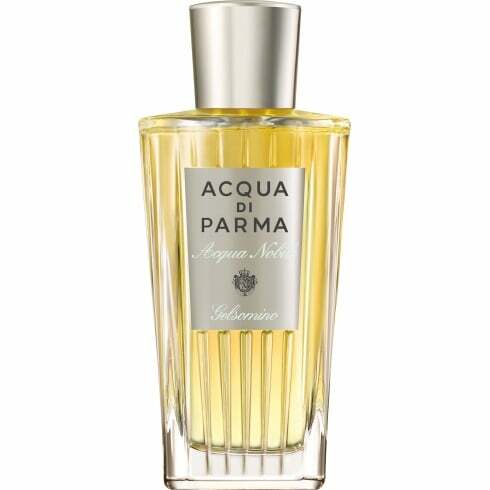 Acqua di Parma Acqua Nobile Gelsomino Eau de Toilette. Acqua Nobile Gelsomino is a bright, light, uplifting fragrance reflecting the elegance and freshness of Jasmine. The pure and clear notes of bergamot, lemon, mandarin, and pink pepper envelope the fresh floral heart, where neroli oil and petit grain blend with Jasmine extract from Calabria and celebrate its unique green floral tones. The fragrance closes with soft notes of musk.